The human body can be fragile, and our skin, bones, and even organs often need to be repaired. To grow tissue and cells, scientists need “scaffolds” or frameworks where the organic materials can grow, but engineering synthetic ones can be really expensive. Creating one organ can cost thousands of dollars. Even 3D printing hasn’t been very successful, and cells grown in synthetic environments often fail the test of surviving implantation. To meet the problem head-on, scientists are getting creative. They’re turning to Mother Nature to supply scaffolds. One of those scaffolds is a simple spinach leaf. Researchers “flushed” out the plant cells using detergent and water, so all that was left was a translucent scaffold made of cellulose. It looks like a clear jelly – a blank canvas ready to be painted. The plant cellulose was then injected with blood cells and human tissue. The experiment was a success: the spinach leaf became a host for normal human heart tissue. Using plants to grow heart cells makes sense when you think about it. Even to the layman’s eye, a leaf has structures that look a lot like veins, where nutrients are carried throughout the plant. 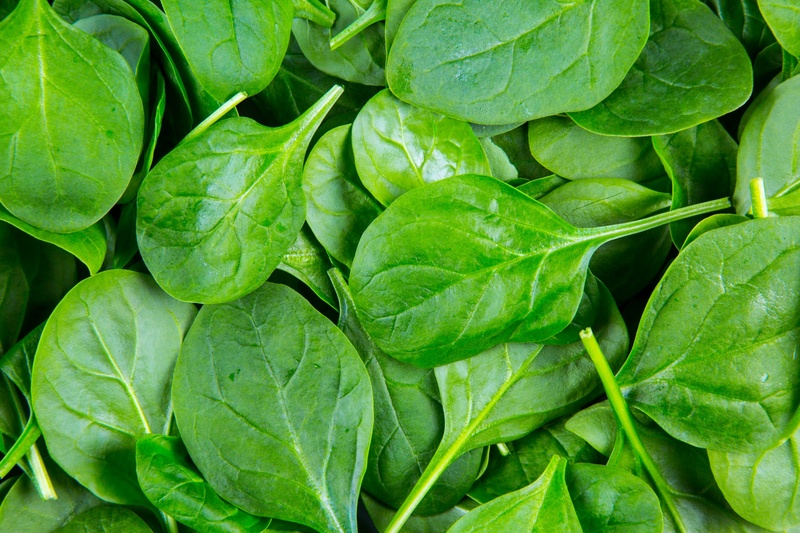 The authors of the spinach leaf study said that while plants and animals are clearly very different, their vascular (related to carrying blood) network structures are also similar, so it isn’t just about how they look. Another experiment has been using apples to grow human cells. The method is identical to the spinach leaf: the “apple” cells and DNA is removed with detergent and boiled water, leaving just the cellulose. When human cells are inserted, the cellulose supports them. The apples were carved into the shape of human ears, but they aren’t actually ears – it’s just a symbolic gesture that points to the possibility of growing human organs using fruit. It will be a long while before cells grown in spinach and apples will actually become implanted, but the future is very promising. When the apple cells enter the body, they actually begin to send out signals of their own, and integrate with their surroundings. This is very good news because using fruits and veggies is way cheaper than synthetic methods. Apple scaffolding costs pennies. People waiting for organs, burn-victims, and others could get the regenerative medicine they need much faster and for much cheaper. Affordability is always a strong motivator, so scientists are looking at what other plants could work. Flower petals and their paper-thin cellulose could be ideal for growing skin cells, while the robust cellulose structure of asparagus, pears, and mushrooms are promising for bone and nerves. The three men behind the apple ears also care deeply about making science and medicine accessible. They founded Spiderwort, which is currently beta-testing DIY science kits that would allow people to grow their own human and animal cells at home. The kit would include an incubator that would keep the cellulose biomaterials at 37-degrees Celsius. Spiderwort is also building an open-source platform for projects like the apple ears, so anyone interested in science – including academic workshops and hospitals – can begin experimenting. With all of mankind’s optimism about technology and robotics, it’s amazing how sometimes what we needed all along was just growing in a garden.